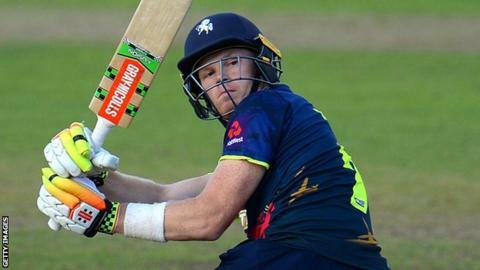 England limited-overs wicketkeeper-batsman Sam Billings has extended his contract with Kent, and been appointed as the club's vice-captain. The 26-year-old has played 13 one-day internationals and 13 T20 matches for England since making his debut for the national side in June 2015. "It means a lot to play for my home county," he said. "I've still got a lot to prove, particularly in red-ball cricket, but I feel my game is progressing." Billings, who was born in Pembury and came through Kent's academy, made his first-class debut against Loughborough MCCU in April 2011. The right-hander, who is hoping to be part of England's winter tour to Australia, scored 262 runs at an average of 43.66 in six outings in Division Two of the County Championship during 2017. Kent have not disclosed the length of his new deal.